This nearly five (5) hour long video seminar will pick up where Part 1 left off. You will learn more about the SQL programming language. We will focus on action queries, aliases, joins, crosstabs, union queries, aggregate functions, and more. Click on the video image to the right to learn more about exactly what's covered in this seminar. The video is about 8 minutes long and fully explains everything that's discussed. Then, continue reading the course outline below if you have further questions. Versions: I will use Access 2010, however the lessons are valid for all versions of Access back to 2000 with some minor cosmetic differences. We will begin by learning about Action queries. 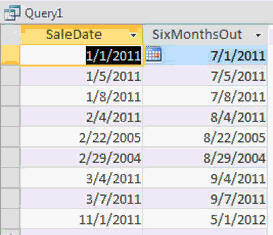 We'll start with an update query to change the data in a table. We'll also learn how to work with an update query that joins data from multiple tables. Next we will build a form that we can use to automatically update our product prices based on new vendor pricing. We'll use an update query and inline SQL code to do this dynamically. The vendor will give us a table with new product pricing (with his product codes) and we'll have to join those products to our product table. We'll also set a default markup for each product category and be able to update the prices based on this markup. This is a great example. Next we'll use an Append query to create a system log that will track everything that happens in the database. 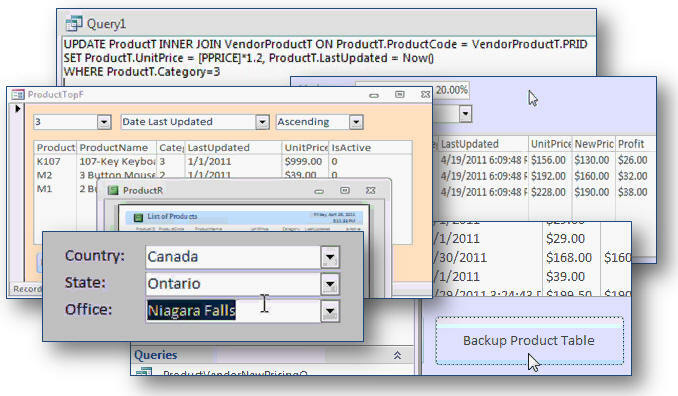 You'll also learn how to use an append query to make a batch-backup of large groups of product information - for example, saving historical pricing on all of your products so you can go back and see what you were selling a specific product at 2 years ago. 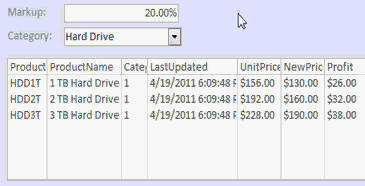 You will learn how to use a Make-Table query to make time/date-stamped backups of your tables. You should do this any time you plan on making changes to a table, or running a potentially dangerous action query. Safety first. This is also good for saving multiple copies of your customer table so you can refer back and compare changes that were made later. You will learn how to use a Delete query to remove inactive products from your database (after archiving them or backing them up first, of course). Next we'll learn how to use the TOP X command so you can see the top 10, top 5, top 50%, (and so on) of records in your table. We'll make a form where the user can choose how many records to view, which field to sort by, and how to sort (ascending or descending). 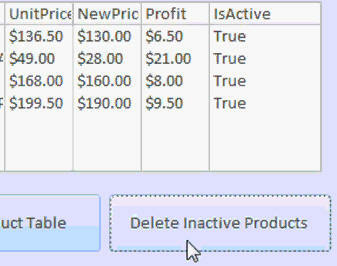 We'll use inline SQL to display the results in a form PLUS we'll make a button to generate a printed report with the same criteria. Next, we'll learn how to create Aliases to make referring to our field and table names easier. This also allows you to change the name of a field on the fly. You will learn about all of the different kinds of query Joins. There are inner joins, outer joins, left joins, right joins, self joins, full joins, cartesian products, and lots more you can do when you join two or more tables together. 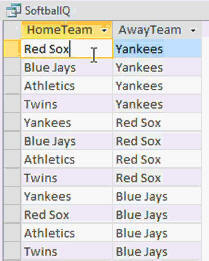 I'll show you a nifty example of a join where you can have one table with team names in it and with just one simple SQL statement generate a schedule of games where each team plays each other team once - but not itself. You'll learn more about the IN function; specifically how to nest an SQL statement inside of the IN function to provide its list of values. You'll also see how NOT IN works. We'll create a Union query where you can take multiple different tables and join them all together in one result set. This is great if you want to create a mailing list that includes customers, employees, vendors, and everyone else who has a name and address. 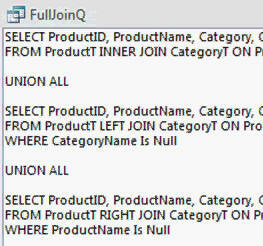 Union queries are impossible to build in Access unless you know SQL. You will learn how to perform mathematical calculations in your SQL statements. Remember, if it's something you can calculate on the fly, you usually don't need to save it in your table. Keep your databases small and efficient. We'll cover string concatenation, and a really cool trick that you can use in SQL to ignore null strings that doesn't require any fancy functions. For example, notice the third record below is missing a middle initial. Not a problem. You will learn how to use Aggregate queries to group and total based on various functions (sum, average, max, min, etc.) and criteria. You'll also learn some techniques that are specific to SQL and are very difficult to produce with the standard Access query designer. Notice below I'm using an SQL statement as the WHERE condition inside another SQL statement. This will show all of the orders that are over the average of all of the order totals. Great SQL trick. Next, we'll cover many of the popular functions that I like to use with my SQL queries. We'll start with the string functions such as Trim, Left, Right, InStr, Len, UCase, LCase, and StrConv - which can convert to "proper" name case. You will learn all of my favorite date and time functions, like DatePart, DateSerial, DateAdd, DateDiff, and lots more. I'll show you how to take a date/time value apart to get its components, and I'll show you how to put together another date using those component parts. We'll learn how to add and subtract dates to determine things like "what date is exactly 6 months in the future from the sale date?" Next, we'll cover a bunch of additional queries like ABS, Int, Fix, Round, Sqr, IsNull, Nz, IIF, and the conversion functions like CStr and CCur. This, and the previous 2 lessons, will teach you about 95% of the functions you will need to use in your queries on a regular basis. Finally, we'll tie everything together with one of my favorite example lessons. I will show you how to make a three-level set of cascading combo boxes. This is where you pick a country and then the state combo box is filtered to show you just states from that country. Then the same thing happens to the next box which shows you just the offices that are in cities in that state. This all happens with custom SQL written in the AfterUpdate events of these combo boxes. But that's not all. Not only will we go top-down, but I'll also show you how to go bottom-up. If you move to a different record, I'll show you how to take the office/city that you know and use it to look up the state and country and then dynamically refresh and update all three combo boxes. This is real cool stuff! Again, this seminar is perfect for anyone who wants to learn how to supercharge their Microsoft Access databases with the added power of custom SQL. It is the second part of a three-part series. Part 3 will teach you how to modify the design of your database (table and query structure) using SQL. Of course, if you have any questions about whether or not this seminar is for you, please contact me.